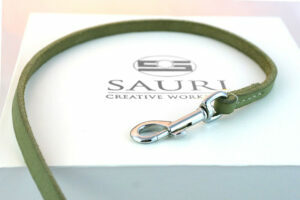 Dogs love going to the walks. 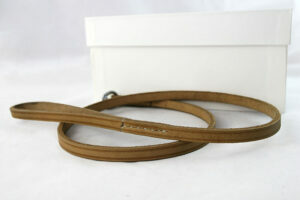 These are of great importance to them helping their healthy development and day to day living. 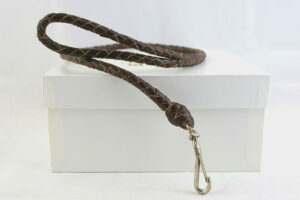 It also means that going to the walk with the dog is a great challenge and responsibility for the owner. 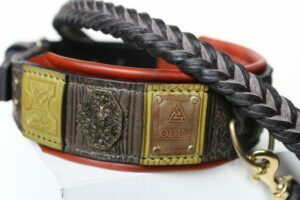 Leash should serve as a mean to delimit the undesirable behavior but not as a mean of blocking the dog to act in accordance with its nature. 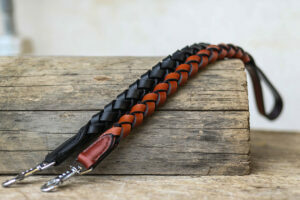 Inspired with the love for dogs we design and hand craft leather leashes and leads for a variety of purposes such as dog training, walking, show leads. 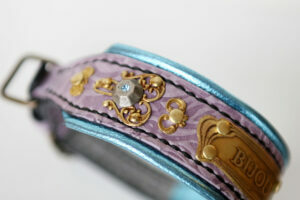 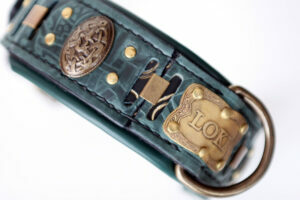 We also design unique personalized dog leashes – ones that go with the matching personalized dog collars. 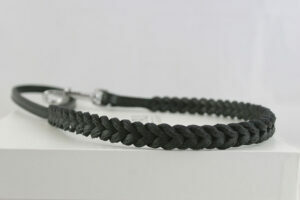 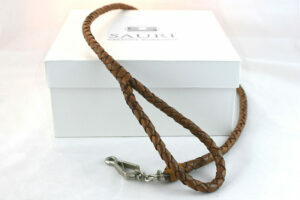 Each leash is designed to be comfortable to the dog but to the owner as well. 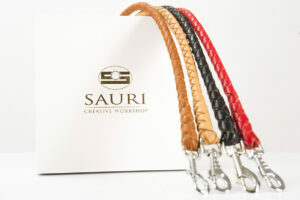 Short or long, plain or plaited, every leash has its purpose and owners shouldn’t purchase any leash without knowing what suits their dog’s need the best. 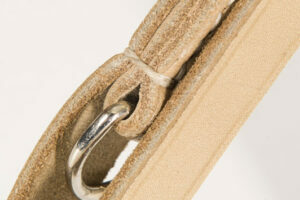 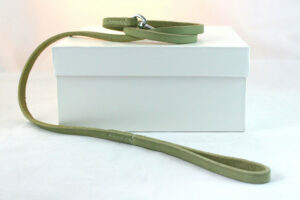 We only use the best materials and our leashes are resistant to cracking and stretching. 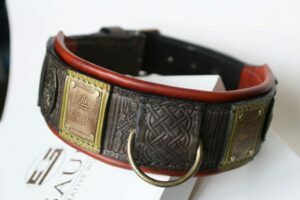 For smaller breeds machine stitching is suitable but the same as for the dog collars when we create for large robustly built dogs hand stitching is the safest possible choice. 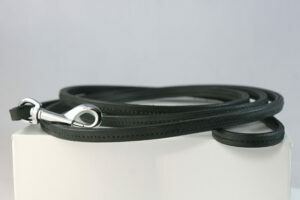 Choke leashes are useful to the dog breeders at their kennels while handling the dogs but also for other dog owners – it is a choke collar and leash in one. 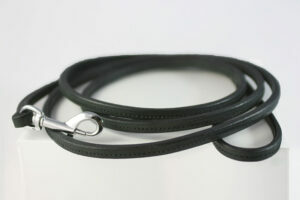 Dog leads used for exhibiting dog at the dog shows are usually long dog leashes, longer than 2 meters. 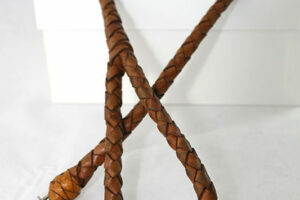 Leather here must be of the best quality. 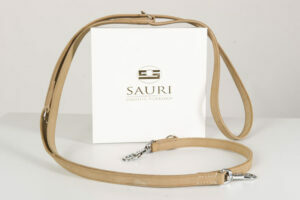 Handle leash is a very short dog leash very useful when taking a large breed dog out for a walk in a more or less crowded place. 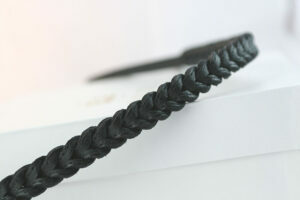 The full braided leash is a very elegantly looking dog leash: leather needs to be slit and plaited to form not only beautiful but a highly durable dog leash. 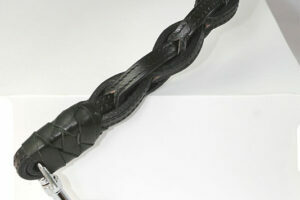 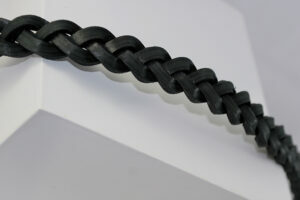 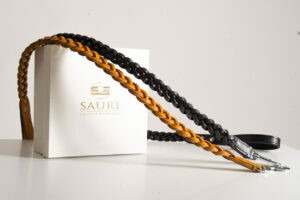 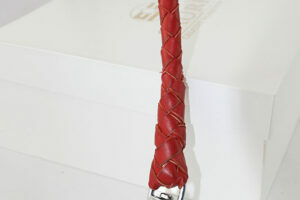 Uniquely designed double plaited dog leash. 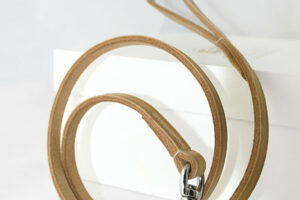 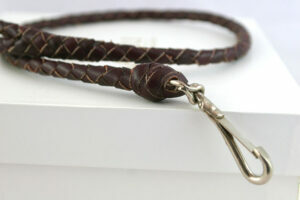 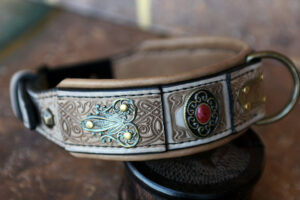 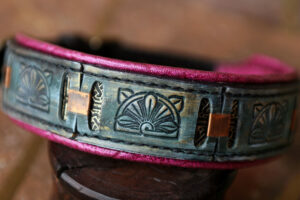 Strong and fashionable handmade leather dog leash.